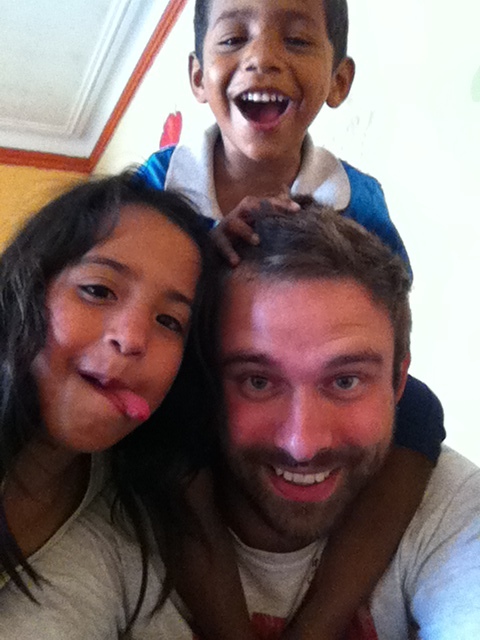 These kids at the home in Callao are a lot of fun. They can also be crazy! Pretty much every time I go, I leave feeling achy, I’m drenched in sweat and am completely worn out. Almost routinely I go through a process in my mind where I ask what difference is this making?… should I be doing this?…. should I stop going?… etc. However, the more I go the more and more apparent it is that these kids are hungry for love. The director of that orphanage is an incredible lady! She takes in kids with all sorts of backgrounds and some with significant challenges. Quite a few of the kids are only there for a time while their parents are being rehabilitated from various problems. She loves them well, but right now I am the only other person there for the kiddos. One kid named Josias spent most of the day with me on Friday. I’ve been building and repairing beds in a lot of the rooms. Josias was my official nail passer in the morning. Usually when I am done working, I’ll spend a few hours just hanging out and playing with the kids. Josias in the past has, I’ll be honest, been a little (ok a lot) annoying to me. The kids like to climb onto my shoulders and have me run around. I made a 1 kid at a time rule a couple weeks ago. Josias never wants to listen to that rule and always tries to climb up when another kid is riding on my shoulders. That usually ends up in him being tackled or hit or even kicked by another one of the kids to which I have to stop everything and try to help in my weak Spanish to understand that is NOT a proper solution to things. Note: my Spanish chooses when it wants to be good. There are times I can have complete conversations with zero problems. At other times I cannot get out a complete sentence. Usually at the orphanage, sentences are hard for me, haha. Last Tuesday Josias was mad at some other kid in the play area and had an all-out temper tantrum. He was on the ground writhing and crying and yelling. I tried to get him to stop but it was useless so had to let it go. Even though no one was paying attention to the display he went on for probably close to 10 minutes. So Friday, I went in with a plan knowing I had to be way more firm with the kids and help prevent any craziness. 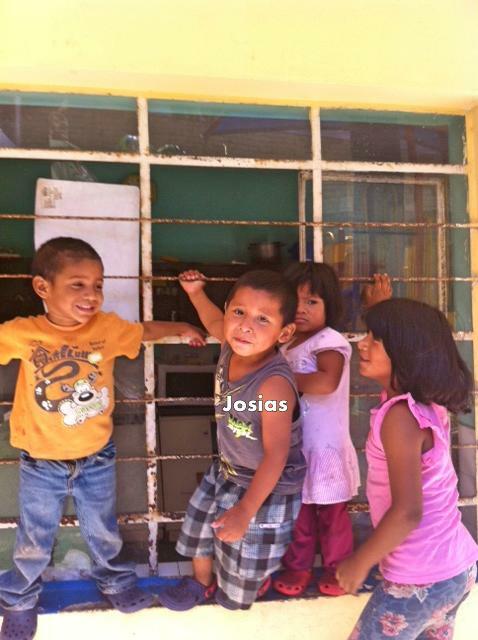 There were two few girls, Josias and a boy named Jonas who were taking turns riding on my shoulders. I gave them the order that they could have a ride in, but Josias didn’t want to wait. He tried to climb up. I told him no and he started to fuss. I picked up the next kiddo and he threw something at me. I had that kid get down so I could go talk to Josias. He ran way from me but the other kids helped to get him. I knew I couldn’t just let that behavior go this time. I picked him up and explained he would not get any chance at all to get on my shoulders the rest of the day because he was not being nice. I’ve tried to have that talk with him before about not whining and being nice but he always ignores and the cycle of crying continues. This time he listened somehow. I sat down to take a break and Josias climbed up in my lap. He sunk down in my lap and wrapped my arms around him, playing with my hand. In that moment, all of my annoyance with Josias as this kid who never listens and always cries went away. I had a little aha moment. With 35 other kids to compete with, Josias has formed his way of getting attention but what he wanted from me, the only male influence he has right now, was a little bit of assurance he was loved. He wanted to know he was cared for just as much as the others. He didn’t beg or whine or cry the rest of the day. I was absolutely amazed. I’m not sure if I’ve seen him go 20 minutes without some sort of eruption before that afternoon. It felt like such an incredible victory! I praise God for that change. I know it’s a continuing thing; we have a long ways to get in my next several months with little Josias. Excited for the days to come. I’ll be back with these kids tomorrow and Friday for some Bible lessons, working in the house and playing with the kids. I read your your story about the children just before going to Church for Ash Wednesday service. I thought of you as this prayer was read……Heavenly Father, Thank-you that in your love and wisdom, You invite us to accomplish Your acts of love, service, and kindness here on earth, Thank You for the privilege of “helping” You. Me gustaría saber si necesitan algún tipo de ayuda en los orfanatos o la obra en general. Por favor avísenle. Dios los siga bendiciendo. ← Do you really have to sit here?